The Scottish-born author’s new novel focuses on a marriage that becomes threatened by the wife’s obsession with a beautiful show horse. 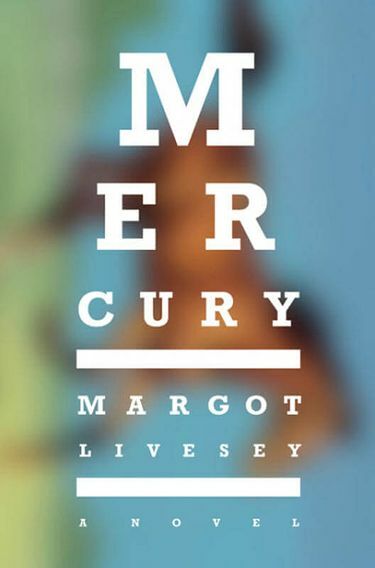 This remarkable, powerful novel takes its title from a horse: a beautiful, dapple-gray thoroughbred that becomes the object of obsession and the pivotal point of author Margot Livesey’s richly complex story. But, like almost everything else in “Mercury,” the horse’s name is itself ambiguous: Mercury is the fleet-footed god of mythology, an element useful in science and medicine, and also a highly toxic poison. In this novel, Mercury the horse is the fulcrum of a plot that sets off explosions in a marriage, friendships, careers and the moral compasses of the protagonists. Livesey, the Scottish-born author of seven earlier novels, narrates the novel through two voices. Donald, an optometrist whose family came to America from Scotland when he was 10, tells the story in its opening and closing sections. The middle section is narrated by his wife, Viv, who manages a riding stable after giving up a career in the world of finance. Still marked by the childhood reserve of his homeland, the quiet and undemonstrative Donald has been happily married for nine years, but recently he has given up ophthalmological surgery for his deep involvement in the care of his dying father — so much so that Viv tells him he’s been “MIA” and “like a man in a spacesuit.” Blindness, literal and figurative, is a central motif in this narrative. The author of “Mercury” will appear at 7 p.m. Oct. 20 at the Elliott Bay Book Co., 1521 10th Ave., Seattle; free (206-624-6600 or elliottbaybook.com). No wonder the preoccupied Donald fails to see his wife’s growing obsession with the dazzling show horse that she doesn’t own, but in whom she invests every available asset (most of all, her time). As Donald tells it in retrospect, “Viv secretly, passionately, believed that she was destined for greatness” as a competitive rider. At 37, with two children, a nice home, good friends and a job she loved, Viv had “felt as if her life was over” — until Mercury arrived. The book’s concluding chapters are finely nuanced as Donald wrestles with his moral dilemma, and his own unwitting contributions to it. Does he make the right decision? It’s impossible to know, but Livesey makes you wonder and reconsider — and admire her skill in giving you no obvious answers. Melinda Bargreen is the former classical-music critic for The Seattle Times and the author of two books, “Classical Seattle” and “50 Years of Seattle Opera.” She’s a freelance contributor to the Times and also writes for 98.1 Classical KING FM (king.org).